I don’t know where to start this week! Do I start with the Boulder Startup Week highlights from BuiltinColorado? Highlights that do not include Brad Feld in shiny gold shorts as the ring card holder for the Founder Fights? That was my highlight. Or do I start with the news about the Colorado Technology Association’s announcement of their new CEO, Andrea Young? Maybe I should start with being named a top 50 influential person in Colorado tech for the second year in a row? That’s pretty darn cool. Or I could start with being asked to cover the Go Code Colorado Final Event as a blogger? I was part of a winning team last year after all. It’s just all too much. I can’t decide. This week I will be at ReadyTalk’s FoxDen Launch Party and at the Go Code Colorado Final Event, both of which are on Thursday so let me know if you’ll be there too. I’d love to say “Hi”. Also if you’re looking for an influential, self-motivated, entry-level software developer, I am looking for a new job so get in touch! Speaking of tech news sources, the Denver Post Tech+ blog will be moving so it will have a new URL and feed so make sure you update your feed reader. Last Monday I was invited to be a guest on the EleventyTwelve podcast with Jared Ewy and Aaron Templer. It was fun to meet Jared and Aaron and see how another podcast is put together. We talked a little bit about AirBnB rules and we talked about upcoming tech events and the people and groups that make them happen. Give it a listen and let me know what you think because I can’t listen to it. I tried, but I will just constantly second guess myself and be entirely too hard on myself so the only way I will hear if Jared’s editing magic made me sound smart is to hear it from you. Last week I also said I would get serious about my job search and I already had my first interview. It was a phone interview for a Jr. DevOps position and the conclusion reached was that I was good on all my skills needed for the job except my Linux knowledge. I have some, but it’s old and rusty. This makes sense though since DevOps is that middle ground between “an IT worker who wants to be a part of the development process” and “a developer that can actually put continuously integrated code into production.” So I decided to brush up on my Linux skills. Since then I’ve learned that Lynda.com has a great CentOS lesson. I also learned that it was quicker for me to start an Amazon AWS instance than it was to get set up with Docker, how to use Git Bash, and that creating a Linux server in a virtual machine to follow a tutorial is a pain. I’d rather just connect to another computer than try to figure out pretend networking. My plan is to use AWS instances and virtual machines to get as comfortable as I can with Linux in the next month then see if the position I applied for, or a similar position, is available. If you have, or know of, a position you think I would fit in check out my resume and my projects page and let me know. I would greatly appreciate it. Have a good week! Finding opportunities is easy. Taking advantage of opportunities? That’s the difficult part. With achievement of my degree within sight and a few projects completed it is time for me to take job searching seriously. Last night I started trying to figure out how to get paid for doing something I love. I looked at a few online job postings but this does not seem like a good strategy considering the network of awesome people I’ve cultivated in the last 152 weeks. Then there’s the question of “What is a good strategy?” Should I put my head down and charge at a dream job or should I keep my eye out for other software developer jobs? My heart wants to go for the dream job but my heart also really wants to get out of this job so I can work as a developer full time as soon as possible! If you have any job searching advice, I’d love to hear it. If you just have a job offer, I’d love to hear that even more! Last week I decided to stop recording the Colorado Tech Weekly Podcast. It was a fun experiment and I’m glad I tried it. It gave me the confidence to talk more freely about my knowledge and I’m proud that I gave podcasting a try without spending money on all the cool audio toys… although I did make an Amazon wishlist of audio toys. I decided to stop the podcast because I realized that it was not working towards my goal of becoming a software developer. The whole reason I have this site is to show the work I am doing so I can get that developer job. The whole reason for the Colorado Tech Weekly series is to give people a reason to come to my site to read the news and see my project updates. Therefore the podcast should have been working towards that same goal. It wasn’t. In fact it seemed to be taking up time and effort that I could be spending working on projects and posting project updates on this site. I also had big, cool ideas for the podcast which would make the podcast cool but would also take away more time from my primary goal. I love the idea of doing interviews and having co-hosts and panel discussions that focused on the Colorado technology community. 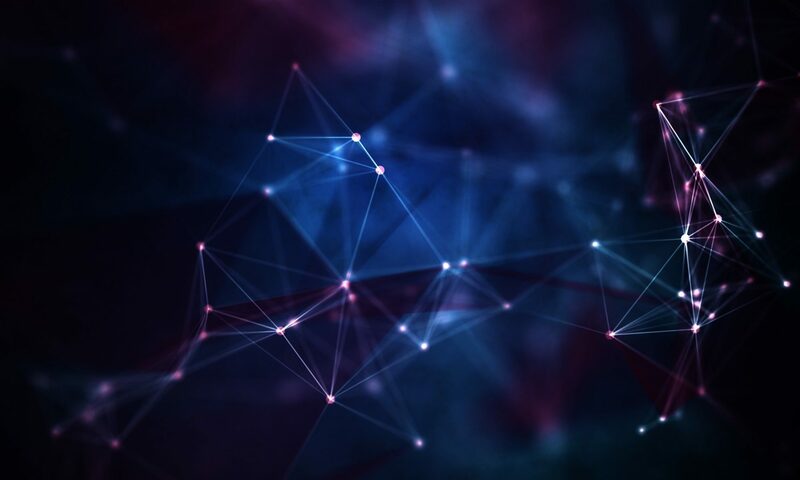 How cool would it be to hear Tamara Chuang, Greg Avery and Jess Ryan discuss the current tech news on a monthly basis? That would be awesome! But it would take up way more time than I have. The ideas I have for the podcast are great. It could work and it could be awesome. Unfortunately I am not the person to make that happen right now. 5280 Geek – Smurf hosts a mostly weekly podcast with a small group that talk about comics, pop culture, TV, movies, games and cosplay. There are serious opinions, “inappropriate” jokes, euphemisms and interviews. Great all around geekiness. The Boop Show – Hosted by Scott Johnson. This is another mostly weekly podcast where Scott talks about the latest news in the video game industry. It’s mostly Scott by himself but he does try to incorporate listener feedback. The Daily Tech News Show – One of my favorite podcasts and the reason I thought I could ever do my own podcast. Tom Merritt hosts the show with different co-hosts every day and talks about tech news from around the world. It’s every thing I wanted the Colorado Tech Weekly Podcast to be. EleventyTwelve – Hosted by Jared Ewy and Aaron Templar in Jared’s basement in Englewood on a weekly basis. Jared and Aaron take on Colorado stories and interests where each episode is under 30 minutes on purpose. It’s like a good morning radio show if morning radio shows weren’t annoying but weekly and there’s no weather or traffic updates (mostly). Mostly Harmless with Dammit Damian: A Punk Rock Podcast – Do you like punk rock and comics and nice guys named Damian who live in Denver? If you think you might, give this podcast a listen. In the same way I love showing off how much Coloradans contribute to the tech world, Damian loves showing off local artists, authors and musicians. He also says “Hey buddies!” a lot so it sounds like he’s your nice beer drinking, punk rock loving friend. Pixels – An internationally hosted podcast about the video game industry recorded about twice a month. It’s hosted by Patrick Beja who is from France but just moved to Japan and includes co-hosts from America and Europe so it truly is international. It’s like the Boop Show but more conversational but still sometimes includes Scott Johnson. The Avs Hockey Podcast – This podcast is hosted by huge Avalanche fan and ringleader of the #AvsTwitterPsychic twitter game, Jay Vean and the amazingly well traveled and awesome guy, James “Tapeleg” Gralian. It’s recorded every 1-2 months and Jay and James chat about news and interests involving the Colorado Avalanche and NHL hockey since their last recording. The only thing that would make this podcast better would be if they recorded it more often. The Nerdist – Hosted by the nicest and most popular nerd in America, Chris Hardwick. The podcast is mostly Chris having genuine conversations with is friends and with cool, famous people in movies. It’s awesome. I love Chris. Listening to him makes me feel good about being a fan of anything. The Sword and Laser – After I started listening to The Nerdist and feeling better about being a fan of nerdy things, I decided to finally give The Sword and Laser a listen. It’s a bi-weekly podcast hosted by Tom Merritt and Veronica Belmont who are just as nice and just as nerdy as Chris Hardwick (and maybe more popular in some circles). The podcast is an extension of the Sword and Laser book club on Goodreads that discusses sci-fi and fantasy books. These Things Matter Podcast – Another Colorado-based podcast of general geekery. This one is hosted by local stand-up comic, Kevin O’Brien and Taylor Gonda. Every week they have an interesting guest and talk about a pop culture thing and it’s generally just fun to listen to. I also just subscribed to 5280 Nerd, Denver Business Podcast and Turnpikers for more Colorado specific shows so I don’t know much about them yet. What podcasts inspire and entertain you? I need your help! 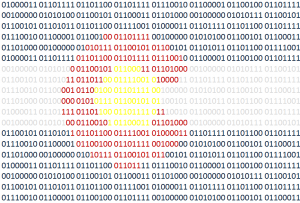 The future of Colorado Tech Weekly DEPENDS ON YOU! OK, maybe that’s a little too dramatic but I’m finding out that doing this blog and doing a podcast might be too much. I want to change things up, but I’m not sure how I want to do that. 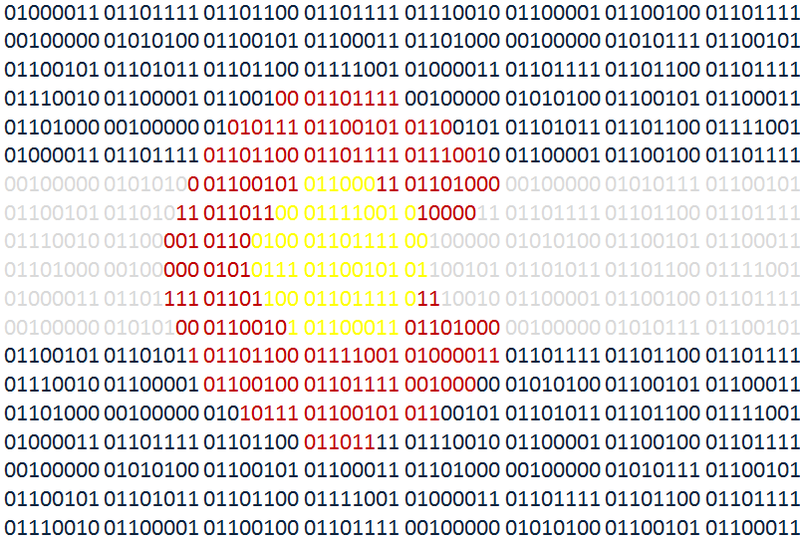 So yesterday I wrote up a post: The Future of Colorado Tech Weekly… with some of my thoughts and ideas. Since I write this blog and do the podcast for you as much as for me I would love to hear your feedback. Thank you for reading and listening! As someone who has been following Colorado tech companies for the last 145 weeks I took it as a personal challenge when I saw the BuiltinColorado tech startup logo challenge as a personal challenge. I thought, “If anyone should be able to list all 30 companies, it should be me.” Well I still have a few yet to identify. If you’re going to the Built in Brews event on Thursday and you want a cool t-shirt maybe you can get 2 shirts and I’ll help you out. I wear a large. Shhh! Don’t tell Jess Ryan. After being overwhelmed last week, I feel almost on target this week. Classes are over for now. Birthdays are celebrated and I even get 2 whole days off with my wife and daughter this week! I’m excited to recharge, refocus and get moving on some personal projects. I should probably write up another blog post about those. Until then, here’s some cool news and events! 3/24 – CodeCraft – Happy Hour + Sweet Giveaways! Last week was my attempt at doing all the things. I finished up a class. I prepared a large essay for a second class. I went to C-Level @ A Mile High. My dad came into town for the weekend so we could all go to the Denver St. Patrick’s Day. We had friends over to celebrate birthdays. Then played some card games with friends on Sunday. Meanwhile I’m getting my ToDo lists ready to go because after this week, I’m free from classes for 6 months so I want to do some projects to show that I really do know how to code. I’m trying to do all this all right now. It’s one of those moments where I feel trapped somewhere between pride, guilt, ambition and time. It’s a feeling that many adult students and entrepreneurs feel too often. This is all stuff I chose to do and I enjoy most of it. Sometimes it just gets too overwhelming. Anyway, here’s the tech news!